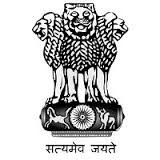 DGCA Recruitment 2015 – 49 Assistant, Library Clerk, PA & Other Posts:- Government of India, Ministry of Civil Aviation, Directorate General of Civil Aviation (DGCA) has published latest notification for recruitment of 49 Assistant, Section Officer, Library Clerk, PA, Administrative Officer, Accounts Officer, Communication Assistant & various other. Desirous & eligible candidates can apply in prescribed application format on or before 12/06/2015. 1. Administrative Officer: Graduate from recognized University. 2. Programme Coordinator (Information Technology): Degree in Engineering/B.E./B.Tech in Computer Science/Information Technology or equivalent. Master’s Degree in Computer Science, Computer Applications, IT, Electronics from a recognized University. 3. Senior Systems Analyst/ Software Developer: Bachelor in Engineering in Computers /Electronics or Master’s Degree in Computer Science, Computer Applications, Operations research from a recognized university. Last Date of Applications: 12/06/2015. Subscribe our free job alert mail for DGCA Recruitment 2015.